The Fat Pig Company are a family run hog roast company offering roast hog for all types of event including your very special wedding hog roast, corporate events, garden parties even Granny's 80th birthday party. Hog roasts not only provide a memorable experience but are an affordable alternative to some overpriced catering options. A hog roast is often the talking point of an event; the smells that fill the air are sumptuously gratifying (we also cater for vegetarians please note). The flexibility of our hog roast machines mean you can also have spit roast chicken, spit roast lamb, spit roast beef or even spit roast turkey if you so desire. The hog roast machines can also be used as a convection oven to slow roast your meats rather than spit roast. In fact the hog roast machine is so desirable I am often asked how you can buy one. Well if you really fancy roasting your own hog why not hire a machine first? We offer great rates for hog roast hire with our fully certified machines and equipment you will be a hog roasting chef in no time. 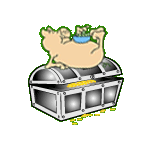 The Fat Pig Hog Roast Franchise is a unique catering franchise opportunity for forward thinking individuals or partnerships to grab the pig by the ears (not literally as we understand they don't like this) and become your own boss. Starting The Fat Pig Company with one machine and a few local events, the business has grown from there so the demand for work means franchisees are needed to fill these bookings. I am offering others the opportunity to become a part of The Fat Pig Family and have a slice of the pie (pork of course). It really is an experience like no other. If you're thinking of a different wedding catering option the wedding hog roast is the ideal choice or maybe you just want to wow a few mates in your back garden the hog roast experience is always something special. If you really fancy something different we can supply a full buffet menu including sandwiches, cold meat selections, Indian snacks, pizza, party food, you name it we can probably do it. And if you are really up to it maybe you would like to take on the mighty breeze block. The breeze block is a chocolate challenge for true chocoholics. Our team will arrive at your event nice and early. We can supply extra staff to serve drinks if needed and we always ensure that we leave the place spotless on departure. The Fat Pig Company pride themselves in delivering a high quality service however big or small. Call now or use the contact form to get a quick quote on your event. A wedding hog roast can provide an easy, stress free alternative to your special day. Wedding Hog roasts create a talking point and a mouth watering alternative to your wedding buffet. We provide a full buffet service with vegetarian options if requested. We can also supply you with our drinks squad, a dedicated team of professional waiters and waitresses on hand ready to top you up and tidy you up! The wedding hog roast will be the guest all your friends and family will be talking about. If hog isn't your thing The Fat Pig also cater for barbecue parties and events. We can supply a traditional barbecue set-up to accompany the spit roast or as an alternative. We can barbie any meats and still throw in some salads to keep the weight-conscious happy. BBQ catering is a speciality of ours so call us now if you want a professional to flip your burgers or baste your steaks. The Fat Pig Company use only the best in hog roasting equipment. We cater for any occasion and large group sizes. If you wish to do a spot of DIY hog roasting then you can try our hog roast hire service where you will be advised on machines and supplied with the best hog roast kit for your needs. The hog roast machines are easily transportable and come with all the spit roast accessories you will ever need. From time to time we provide great little offers to sweeten the deal Click here to find out what we're giving away!